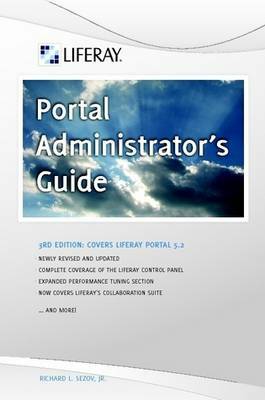 The Liferay Portal Administrator's Guide is your complete guide to installing, integrating, configuring, and maintaining Liferay Portal. This comprehensive guide will show you how to install Liferay Portal, configure it for your use, and maintain your Liferay-powered site on a day-to-day basis. From installing a bundle to creating your users; from managing site security to administering message boards; from integrating single sign-on to configuring a Liferay cluster, every aspect of running Liferay Portal is covered.